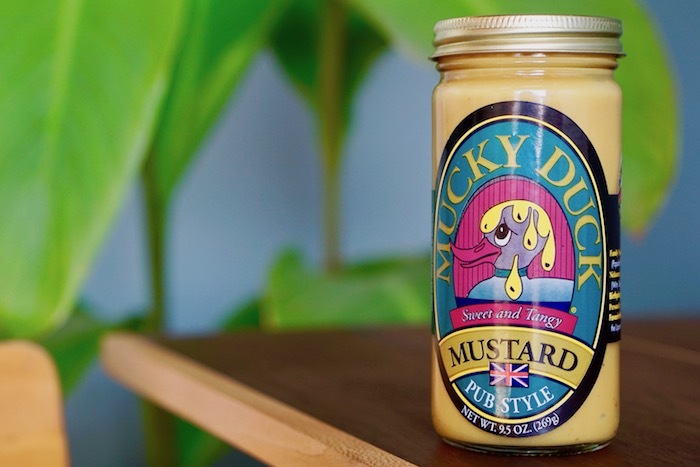 Mucky Duck's Sweet and Tangy Pub Style Mustard has been a staple on Schramm's Mead cheese and charceuterie boards for many years. It pairs well with our meads, especially when accompanied by danish dill havarti, sharp white cheddar, or dried cranberries. Enjoy with baguette, garlic crackers, or on your favorite sandwich. From Helen Henry of Ypsilanti, Michigan on 7/11/2018 . My all time favorite mustard! Great on everything from charcuterie to chicken or steak!